He Icy Collection is thoughtfully crafted to give you extra burst of freshness all day long. A masculine fragrance formulated with menthol base not only gives lasting fragrance but it also provides a cooling sensation. You not only smell great but you also feel great. This perfume provides complete protection against body odor. Powerful and refreshing fragrance boosts your mood. 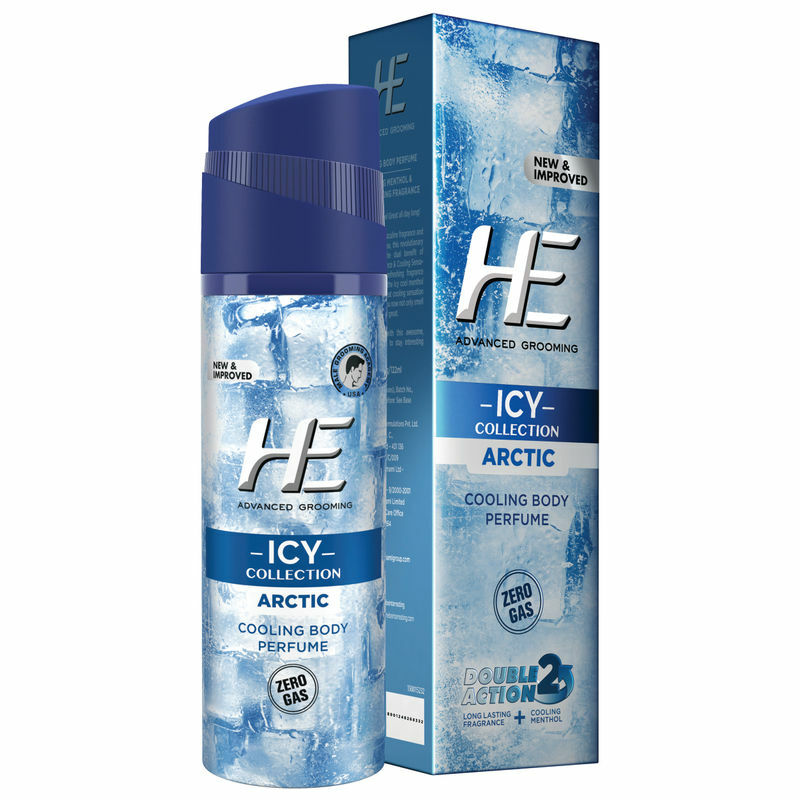 Beat the heat, stay interesting all day with He Icy Collection. Explore the entire range of Perfumes (EDT & EDP) available on Nykaa. Shop more HE products here.You can browse through the complete world of HE Perfumes (EDT & EDP) .